A day after Efe won the 'Ultimate Head of House' challenge; Biggie has introduced a new twist to housemates’ eviction process. Housemates were before now given the opportunity to make their individual nominations privately in the Dairy room. However, Efe on Monday night was given powers by Biggie to nominate four housemates for possible eviction scheduled for Sunday March 26. It was a right attached to the new position he holds and the demand by Biggie that he should pick housemates for eviction opened his eyes to how much powers he holds. The task proved to be a difficult one as he had trouble picking housemates for eviction prompting Biggie to ask housemates to make a pitch to Efe. All the housemates had to pitch themselves to him, giving him reasons why he should not pick them. They were given 30 seconds each to state reasons why they should not be nominated by Efe. Tboss stated that although she was almost 9 years older than he was, they have found common ground and that she had changed his (Efe’s) perception about light skinned women. Marvis had little to say and explained that she was as real as they came and she that she was also his Big Brother wife. DebbieRise said she carried everyone along and was in the competition for her family. 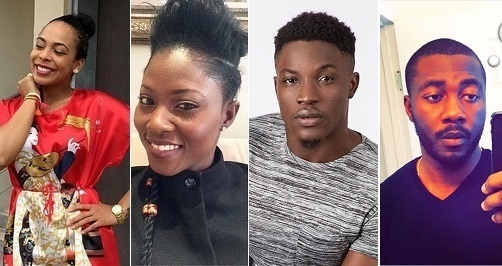 Bassey acknowledged that they have had differences but at the same time, they have also been able to sort themselves out. He added that he is someone Efe could trust while Bally reminded him of their friendship. Bisola simply said that she met him for advice sometimes and that they shared same philosophy; “let us go to the finals together’’, she pleaded. Efe was called to the diary room afterwards to make his choices and he picked Tboss, Bally, Bassey and DebbieRise. He was, however, unsettled as he felt it was a set-up which he would pay dearly for. So far, the nomination power is the only known advantage of the Ultimate Head of House title as Big Brother is yet to announce others. Efe explained that he picked them "based on logistics".